Lots of running updates!!! First of all, the Go! 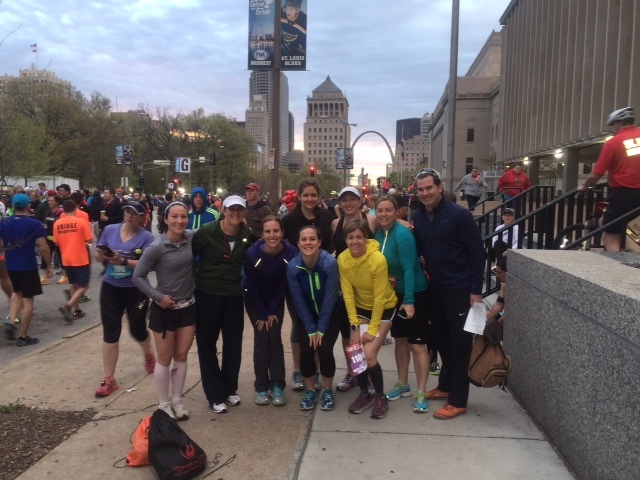 St. Louis Race was a couple weekends ago. This is the biggest race that St. Louis puts on, and this year they modified the course to go over the bridge! I hear it was awesome! 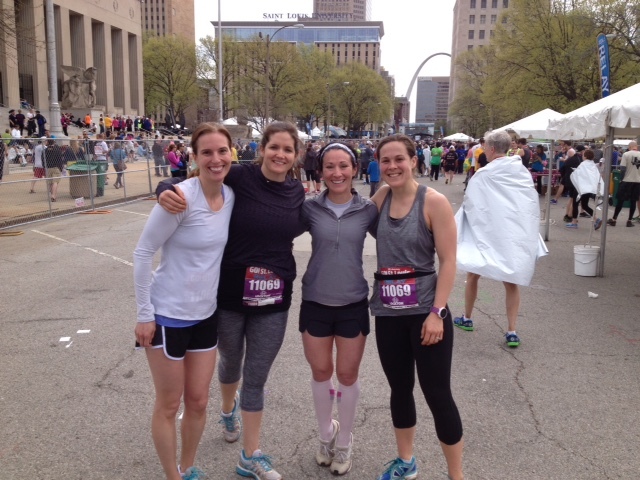 We had two relay teams: Meghan, Darci, Sara, and LT and Dan, Carin, Jennifer, and Maria. Wendy ran her very first full and finished better than expected and Peter ran the half. Great effort from everyone and an excellent representation of CFKW! What could be more awesome than that? Well, how about Lila Kertz finishing the Boston Marathon in 3:28:27?!?!?! Simply incredible! Only her second full and she crushed it! Congrats to all!